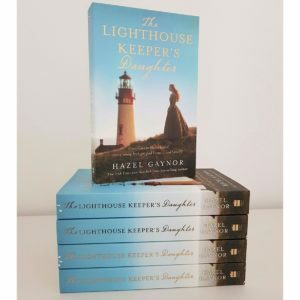 The Lighthouse Keeper’s Daughter is here! Hello! 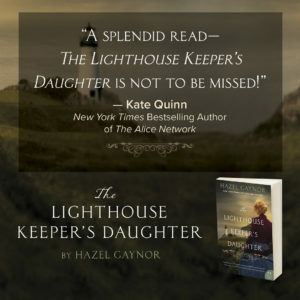 It’s been a long time since I updated my blog posts here, but what better reason to finally do so than to share the news that my new novel, THE LIGHTHOUSE KEEPER’S DAUGHTER, is out now across the globe!! I’m so thrilled that after publication in Ireland in September, the book is spending its fourth week in the Irish Times bestsellers chart, and is now also on sale across North America. I’ve been blown away by the response to the book so far, and hope readers will continue to enjoy stepping back in time and stepping into the lighthouse with Grace and Matilda. I hope you enjoy the book as much as I enjoyed researching and writing it! 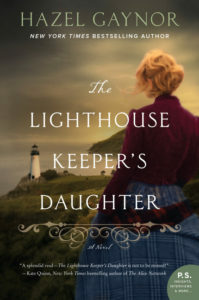 I just finished reading The Lighthouse Keeper’s Daughter and thoroughly enjoyed the story as seen through all your character’s eyes. You have a gift of identifying and expressing the underlying emotions of all the personalities in your book. As a lover of historical fiction, I am looking forward to selecting another Hazel Gaynor book to savour.